Public Demo Coming Valentine's Day! 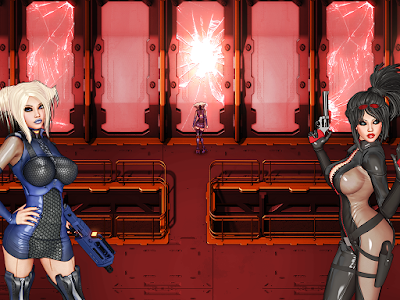 I just wanted to stop in and announce that we'll be releasing the first public demo on Valentine's Day (February 14)! WAIFUS FOR ALL! 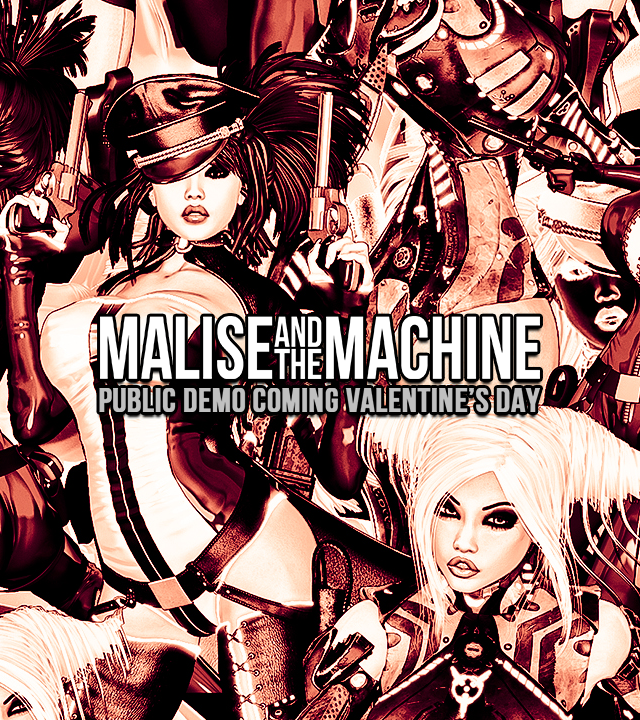 You'll be able to find the demo right here on this blog, so check for a post on February 14. As mentioned previously, the public demo will feature the Access Tunnels content from V0.03, but with both characters in the party. All enemies with H skills will be H-compatible with Malise. In addition, AltairPL's menu overhaul will also be in the demo. In other news, we've been working nonstop (quite literally, 13-19 hour days) on getting content ready for V0.04 to be able to release it as soon as possible. My apologies for not squeezing in time to make regular update posts these past few weeks, but we do have a lot to show off. Expect some bigger posts in the coming weeks! It's been a long wait! Better be worth it! If I pay $10 for the V0.03 on Kimochi, is it the same as going to Patreon to donate $10 for you? Hey! With Patreon you have to wait for the next release for it to process, but Kimochi is immediate. The only downside is that the $20 lifetime pledge retail version reward doesn't exist with Kimochi (we're working on something though). If you're referring to whether the funds go to us for development, then yeah, it's pretty similar! Where can I find Valentine's Day demo here? I've added a new post with download and installation instructions!